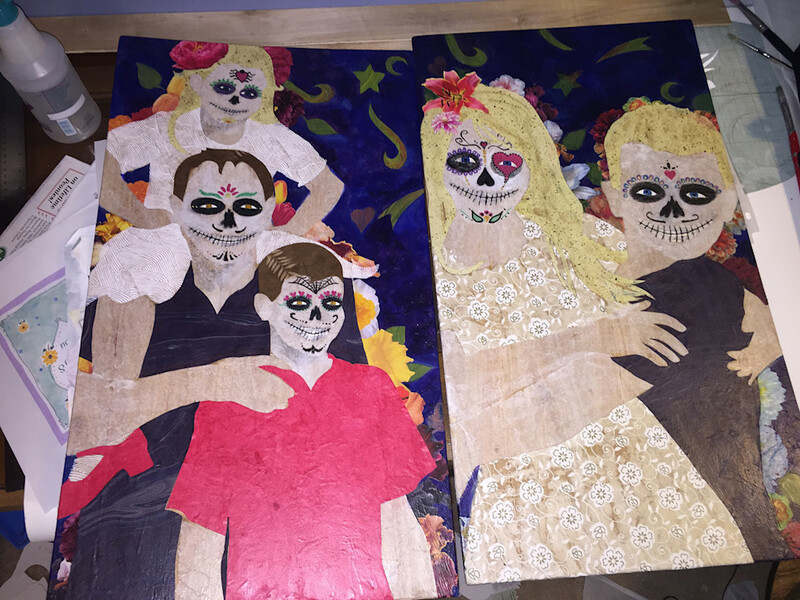 This artwork was created to celebrate the Mexican holiday Dia de los Muertos, or Day of the Dead. It’s an increasingly popular holiday in the Denver area honoring our loved ones who have passed away. If you would like to know more about the holiday, you can read this. 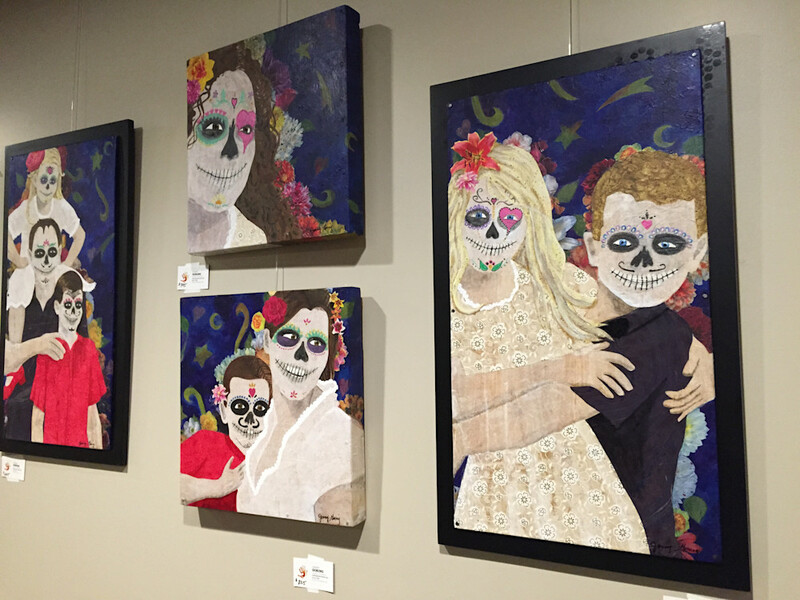 Although many see it as a dark holiday, I have infused my personal perspective into these artworks. I learned from my family that it’s okay to cry at the movies and laugh at the funeral home. I believe that laughter is the best medicine. Even as we lost our Nana and our Dad in the past two years, we have balanced our sorrow by reliving the happy stories and laughing together. 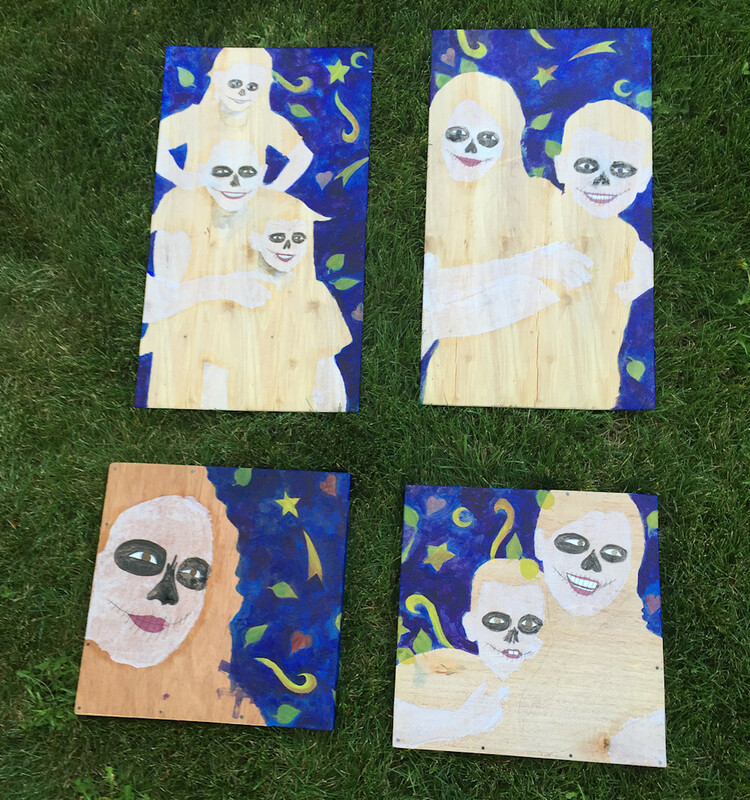 I based these images off of photos I took of family members in happy moments. These were on display for two months at a local brewery. Below I will show you the process of making them. 1. 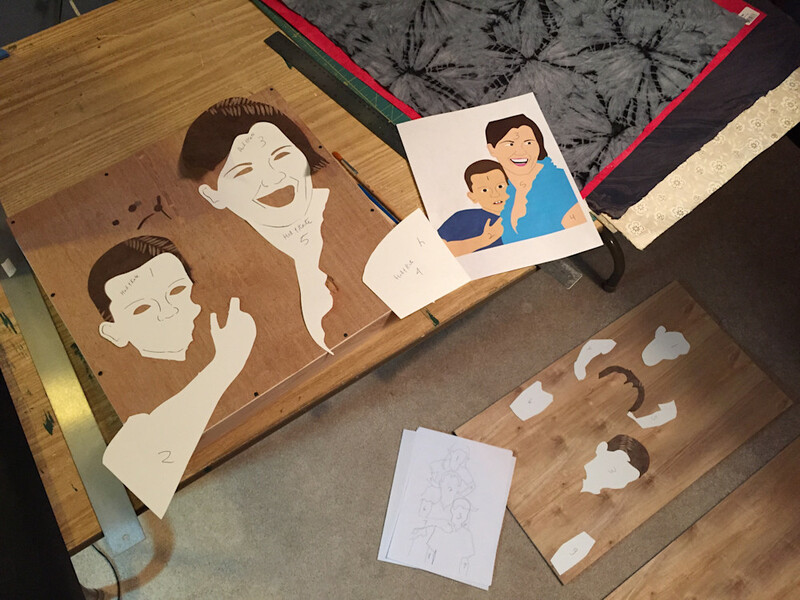 First I imported my family photos into Adobe Illustrator and traced them to create patterns. Then I used my Silhouette cutting machine to cut out these basic shapes. 2. If a specific paper was thick enough, I cut it directly with the machine. Otherwise, I cut a pattern out of heavy card stock, then traced it onto the delicate paper then cut it with an Xacto knife. 3. 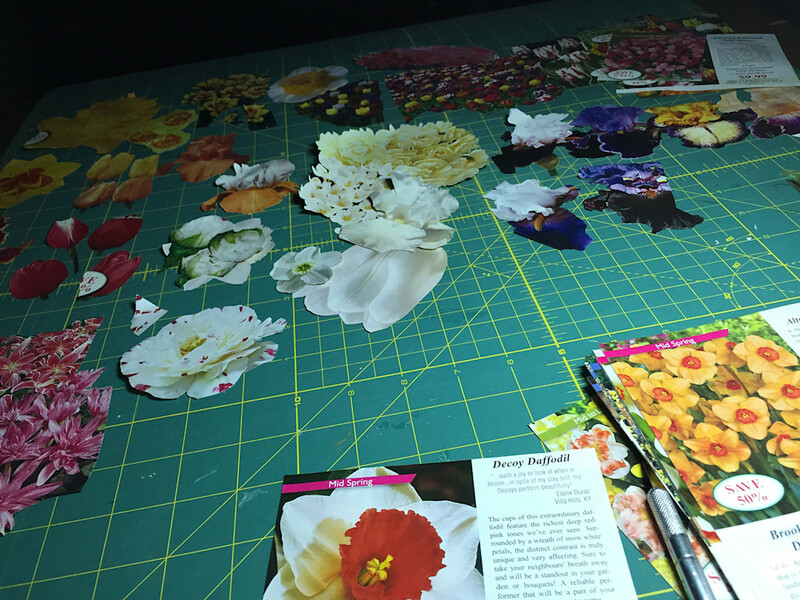 I cut up flower catalogs and used those images for the flowers in that the subjects wear in their hair. 4. 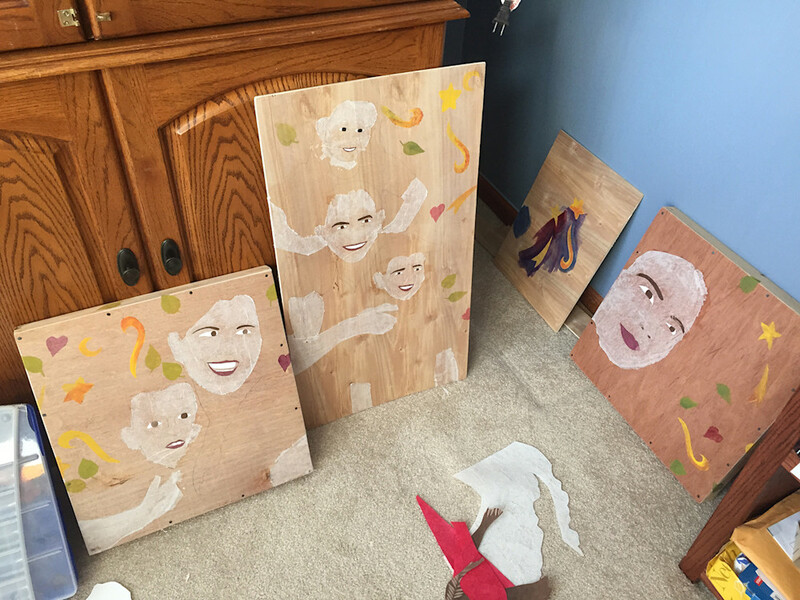 Once I determined where the areas of skin would be, I glued white transparent tissue paper to the wood. This gave the characters a ghostly appearance. 5. 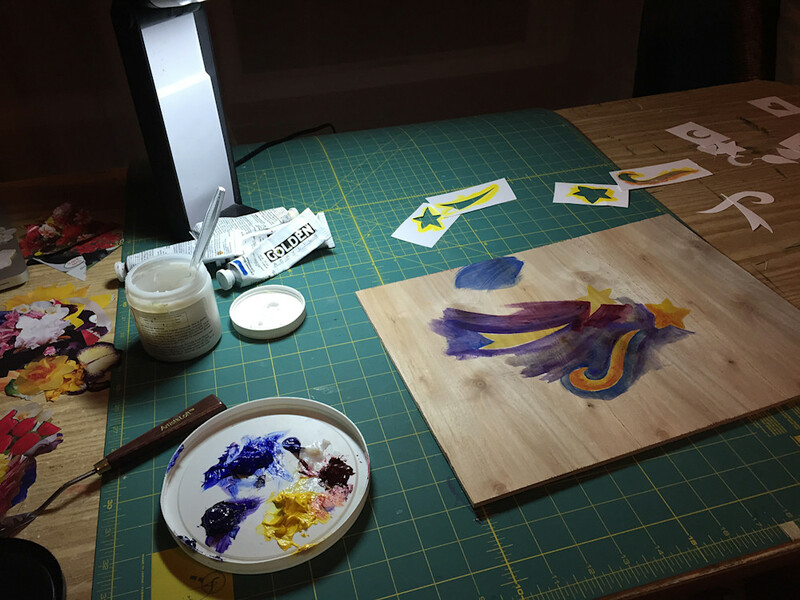 I decided the background should be a mystical nighttime scene, so I cut stencils of shooting stars, moons, hearts and leaves. 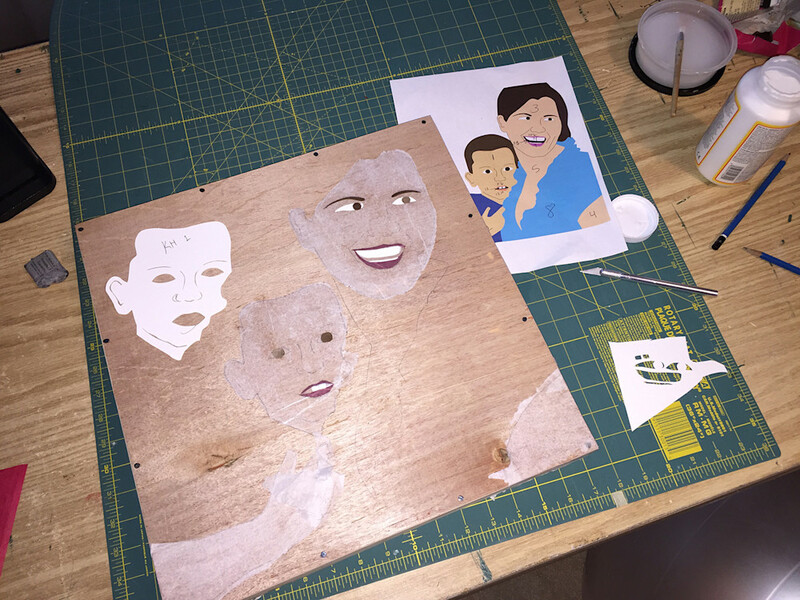 I practiced applying acrylic paints with these stencils. 6. 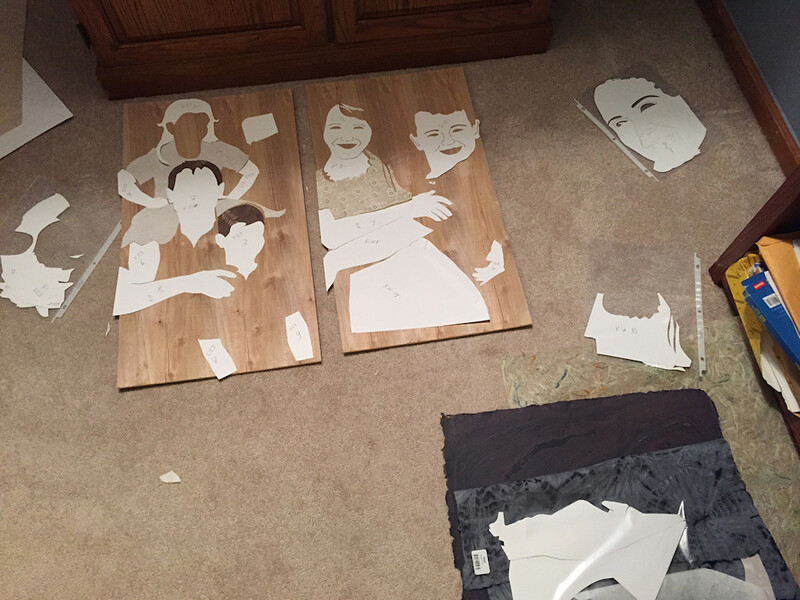 Paper cut-outs of facial details were applied next. 7. For Day of the Dead costumes, people wear makeup to look like they are skeletons. So I applied I dark paint in the eye socket areas. Eventually, a second layer of tissue paper covered all of the skin areas. It was my way of making it look like people were wearing white makeup. 8. Overall, it was pretty ghostly, and yet—I hope—joyful! The Making of "Being Koi"